They say there's no such thing as bad press. But on the eve of Power Rangers getting a reboot in theaters next weekend, no one on the team wants this to happen. The Power Rangers franchise is in the news this morning, and it has nothing to do with the movie launch at hand. 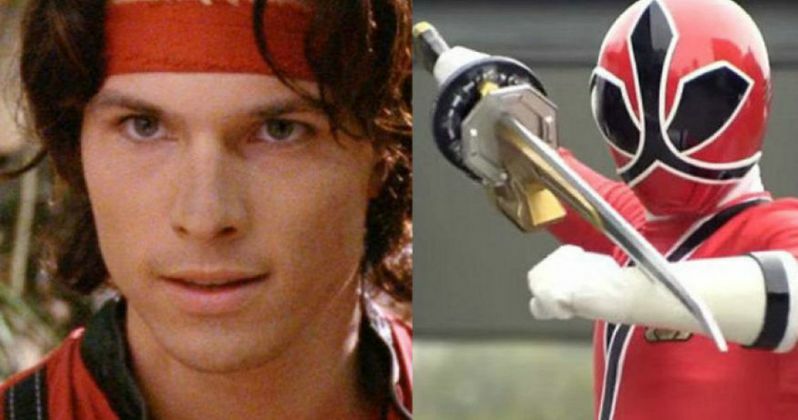 As it turns out, a former Power Rangers star has admitted to murdering his roommate. And with a sword no less. Actor Ricardo Medina, best known for his roles in Power Rangers Wild Force and Power Rangers Samurai, has pleased guilty to killing his roommate. The 38 year old actor entered his guilt plea in Los Angeles Superior Court this past Thursday, admitting to voluntary manslaughter with a sword. He now faces six years in a state prison. According to Fox News, Medina had originally been charged with murder in his case. And he was facing up to 26 years to life in prison if convicted on that charge. Medina was accused of stabbing his roommate two years ago, on January 31, 2015. He admittedly forced a sword through Joshua Sutter's abdomen. The incident took place at their house in Green Valley, a mountain town north of Los Angeles. The incident occurred after the two roommates got into an argument over Medina's girlfriend. Medina reportedly called 911 immediately following the attack, to report the death and turn himself in. During the 911 call, he asked of his roommate"Why did you make me do this?" Medina's girlfriend later testified that that the confrontation was extremely physical between both men. Ricardo testified in court that the stabbing was an act of self defense. Medina is said to have stabbed Sutter multiple times. The autopsy showed Sutter had obtained sharp force injuries. He also sustained hand wounds that were consistent with defensive wounds. Joshua Sutter would have been 38-years-old today if he had lived, a fact that his sister Rachel Kennedy tearfully expressed on live TV this past Thursday when the plea was announced. Ricardo Medina first played Cole Evans, the Red Lion Wild Force Ranger on the 2002 version of the Power Rangers series. He then voiced the character of Deker on Power Rangers Samurai in 2011 and 2012. He has also appeared in episodes of ER and CSI: Miami. This news comes just one week before Lionsgate is set to release a new version of the Power Rangers in theaters, with the reboot to hit on March 24. It's unlikely that this news will have any kind of affect on the box office for the highly anticipated movie. Though it certainly doesn't do the movie any good to have murder by sword all over the news. Power Rangers is a show that has been accused of showing excessive violence, especially since it is targeted at children. The new Power Rangers is rated PG-13 and will have quite a bit of movie violence. The previous two big screen Power Rangers movies were both rated a much tamer PG.